Tom Mix, who has a museum devoted to him in Dewey, was a silent-film star who helped to define the celluloid cowboy. 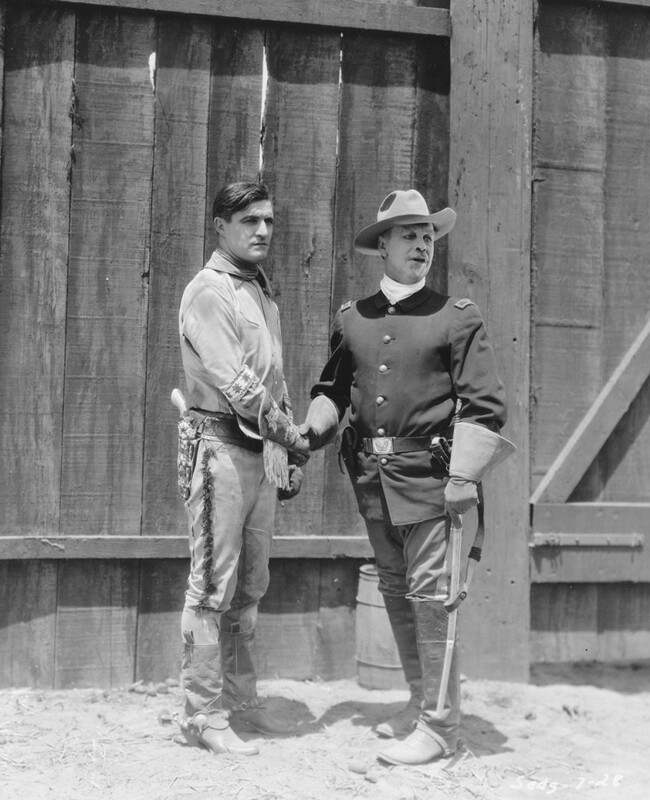 Tom Mix was a marshal who worked on the Wild West show at 101 Ranch before becoming an actor. Photo courtesy Tom Mix Museum. 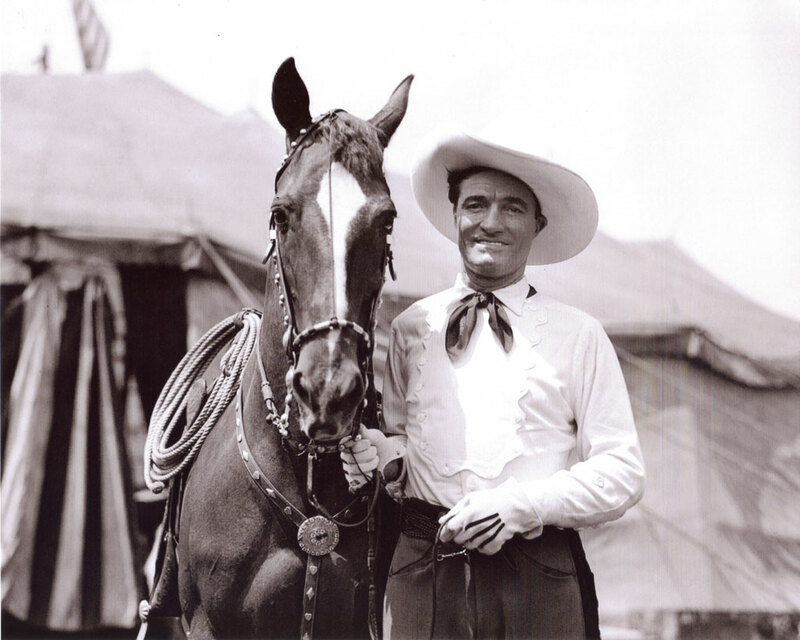 Tom Mix was a marshal who worked on the Wild West show at 101 Ranch before becoming an actor. Photo courtesy Tom Mix Museum. Scores of early movies provided a nostalgic, romanticized version of the Wild West and cowboys that many in the quickly changing and industrializing United States wanted at the turn of the 20th century. 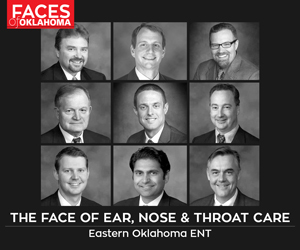 An Oklahoma transplant played a role in those everlasting images. Westerns, and the Wild West shows before them, provided pictures of times and places that didn’t really exist anymore – if they ever truly had. Tom Mix, heavily influenced by living and working in Oklahoma, embodied the ideal cowboy of the Wild West. Athletic and rugged, with only a passing glance at education, Mix left his birthplace in Medix Run, Pennsylvania, for the U.S. Army. Discharged in 1902, he headed west to Oklahoma, spent some time in Guthrie and became a marshal in Dewey before ending up on the famous 101 Ranch outside Ponca City. He gained an early love for horses and the ways of the cowboy, and he learned what he needed to know to perform in an entertaining Wild West show at the 101. Mix made up for any deficiencies in actual skill by exuding confidence and looking the part of a cowboy. During this time, Mix married three times and had one child, Ruth, in 1912. Mix began his transition to movies in 1909 when Selig Polyscope Film Co. of Chicago filmed a Wild West show in Dewey where Mix tended livestock. In his book Wild West Shows, Paul Reddin describes how, despite being barely qualified, Mix asked for and was granted a part in the film. After this first film appearance, Mix continued to perform in live shows, but his popularity in silent movies steadily grew through his work with Selig. 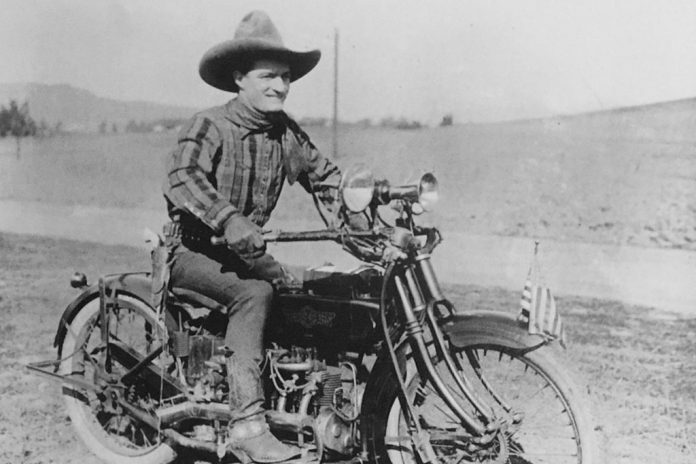 “Tom Mix rose to star status early on and paved the way for future generations in the Western movie-making era,” says Fawn Lassiter, manager of the Tom Mix Museum in Dewey. World War I brought changes and Mix joined Fox Film Corp. in 1917. He became a member of the Hollywood elite with a Beverly Hills mansion, a ranch in Arizona, servants and multiple expensive cars. He also married his fourth wife, an actress, and had another daughter, Thomasina, in 1922. Mix is credited with making hundreds of films and was the highest paid actor in Hollywood at one point, known for doing his own daring stunt work and accomplished horsemanship. Mix had trouble with the transition to talking movies and found his way back to Wild West shows. He even owned his own circus briefly. By this time, however, the nation was deep into the Great Depression and Mix’s fame had declined. He also divorced and married one more time. He died in a car accident in 1940. Mix created a persona for himself. He represented a wholesome, good character at a time when the nation had become more materialistic and flashy. Mix played “the good guy who wore the white hat and saved the day and he always wanted the children to look up to him,” Lassiter says. Celebrate the performer’s life and legacy at the Tom Mix Festival during Western Heritage Weekend in downtown Dewey, Sept. 23-24. The festival features live music, children’s games, country swing and line dancing, Tom Mix Museum tours, the Longhorn Cattle Drive Parade down Main Street and an evening street dance. Visit westernheritageweekend.org for more information.